I purchased an ODROID C2 to see if I could get 64 bit MongoDB running. Shipping from South Korea was surprisingly quick and I was soon loading Arch Linux and installing MongoDB 3.2.6 3.2.9 and associated tools. I am very happy with the result! I have an external USB drive that holds my DBs. The drive is one I purchased for R-Pi, the Western Digital PiDrive. I am now able to have large databases on inexpensive hardware. It’s not the fastest but suits my limited needs. 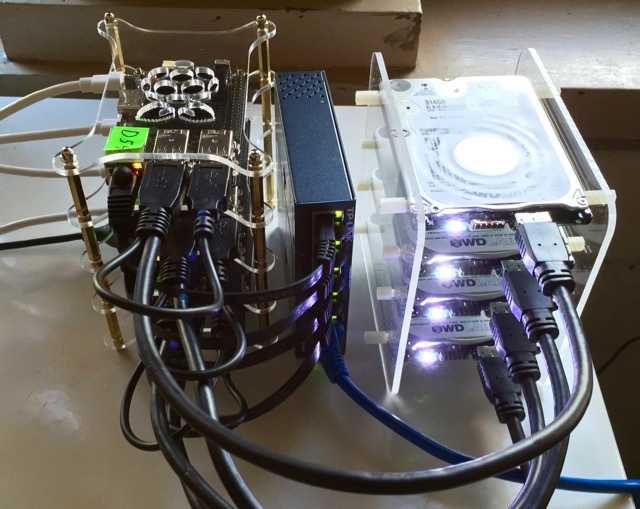 I am contemplating building have built a small dedicated cluster of ODROID C2 SBCs for MongoDB replication and failover. Don’t let the Raspberry Pi cut-out fool you 😉 These are 4 ODROID C2 SBCs. They have the same mounting holes as R-Pi. Picked up the inexpensive stack mount on Amazon. Made the drive stack mount from 2 pieces of acrylic from Tap Plastics and some left-over plastic screw-posts. Thanks for the post, sir! Yesterday I tried to install MongoDB x64 on a new Raspberry Pi3, on which I installed Ubuntu Mate 15.10 64 bits, without success. After reading this post and the specifications of ODROID-C2, I decided to not invest more time trying to make that work, ordered instead an ODROID. Cannot wait to install ArchLinux and use it. Here I am once again, two months later. The two pictures you added are great! As of myself, I did publish a website on ArchLinux, using MongoDB for database. The only problem I encountered was related (maybe) to usb autosuspend and external ssd. My external SSDs failed after some time with an error “reading directory ‘.’: Input/output error”. I hope disabling usb autosuspend, which I did yesterday, resolved the problem. 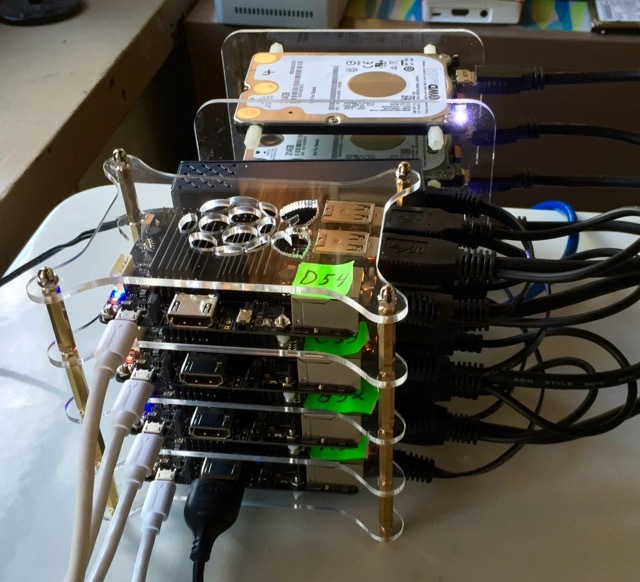 In my case, a single ODROID-C2 is running Nginx, MongoDB, hosting a Python Flask application which is using uWSGI and Gevent. It works like a charm. Thanks again for this great post. So do I need to first install all the dependencies ??? You should see the version (currently mongodb-3.2.9-1) and all the dependencies that will be loaded with the mongodb package. You can abort the install by entering “n” to the install question — or answer “y” and do the install… This will setup other config files for you as well. hi Andy, are you sure of installing mongodb by pacman? I tried but cannot find mongodb. I’m sure I updated all repos. Could you please check if you also added some other sources? Do I need to install anymore dependencies ? I installed pacman,, thanks Andy.. Enable the repository and successfully installed monogdb with all prereqs. thanks for all the guides they are helping a lot! is there a MongoDB 3.2 or higher for Rasp Pi 3 ? 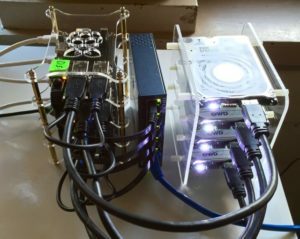 Check out my latest post on running 64-bit MongoDB 3.2 on a Raspberry Pi 3. I do not know of a version that runs under 32-bit Raspbian.